Most people would say that a white car is tough to protect from dirt and scratches. Same goes for black cars, too. A black car easily loses its luster if it has a lot of scratches. Unfortunately, scratches are difficult to spot. You have to look for them in different angles due to the car’s dark color. Instead of dirt, since black cars can conceal it, soap and other cleaning substances can leave white swirls all over the car. These swirls give an impression that the owner does not take good care of his vehicle. To minimize scratches and dirt, let’s learn how to keep a black car clean in different ways possible! 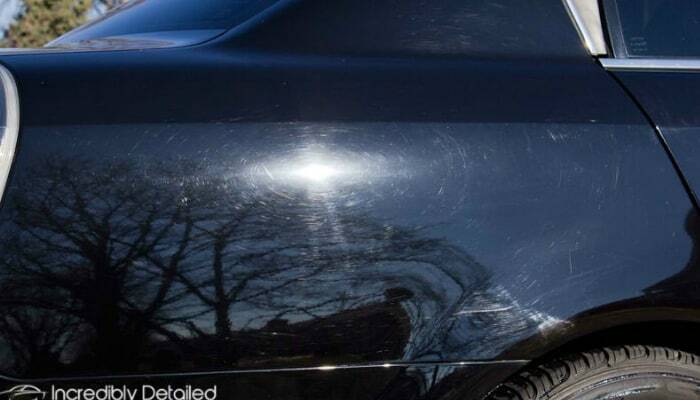 One of the reasons why a black car has a lot of fine scratches is due to careless and harsh scrubbing. You tend to grind dirt into the car’s paintwork whenever you scrub the surface. The solution is to eliminate dirt before scrubbing. How? Use a water hose. Make sure that you set it to a high pressure so dirt will certainly come off the surface. 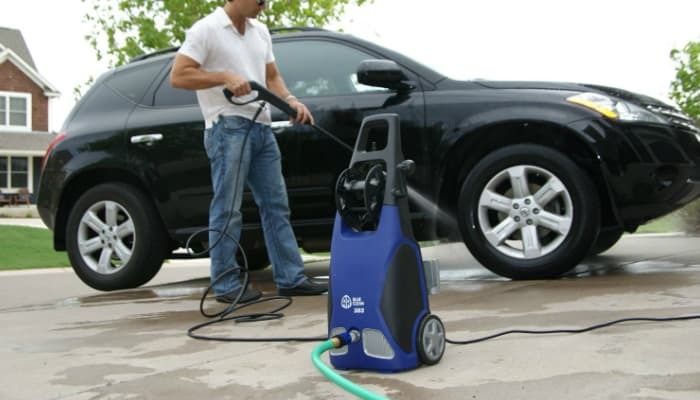 For a stronger flow of water, you may resort to a hose that is usually used by car wash shops. Using only one bucket is a red flag when you wash your car. It only means that dirt keeps on going back to the car’s surface after dipping the wash mitt many times into the water. When dirt goes back on the surface, you grind it as you wipe or rub the car. That leads to swirls and scratches. The right thing to do is to have two buckets of water. One bucket is for clean water with soap while the other one only contains plain water for rinsing, making it a bucket for dirty water. For a more effective cleaning, start washing from the top until you reach the bottom of the car. As for the mitt, rinse it in plain water first before soaking it again in soapy water. This may sound dirty after several dips, but at least solid particles will be removed in plain water before wiping the car again. Regarding the soap, never use a dishwashing liquid or detergent. Since dish cleaners are strong grease strippers, they might strip off the car’s protective covering or wax. That makes the clear coat bare and susceptible to harsh elements. Always choose cleaning products intended for cars. These products ensure that the car paint remains intact and smooth to lessen scratches due to friction. The surface of black cars is fragile to finger smudge and scratches from the tiniest sharp things. Fragility is based on how obvious the marks are on the surface. So, if you use a rough material for wiping or rubbing, it is already expected that it will ruin the car’s shiny and smooth surface. Obviously, you need the softest kind for your car’s wiping needs. Softness is necessary to preserve the vehicle’s paintwork. We recommend a soft microfiber towel for your car. Aside from its gentle texture, micro fiber also absorbs so much water which makes cleaning easier. Aside from the towel, your wash mitt should also be composed of microfiber. The material does not only wash the car well but also makes the mitt durable. Microfiber mitts are easy to clean and even stay intact after many washes. To prolong the longevity of a mitt, buy two in the first place: one for the wheels and another for smooth surfaces. There are also special microfiber towels for drying the car’s surface. Car towels are now separated into the wash and dry types. 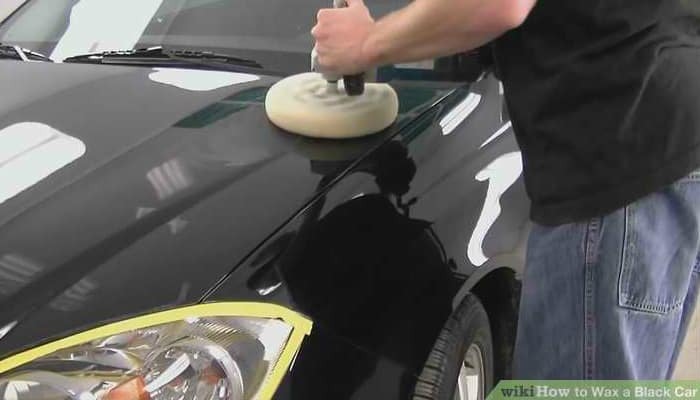 The right method for drying the car is by patting the surface only. That’s why to choose a drying towel that is excellent in absorbing water. The only disadvantage is how time-consuming it is. You can wipe the surface to dry but do it slowly. Another way to dry a car fast is through a leaf blower. The method also enables you to dry complex and uneven surfaces of the car such as grilles, body panels, and side-view mirrors. Waxing your car’s surface is essential to protect the paint from harsh sunlight. Aside from sun protection, wax also keeps the car shiny and water-resistant. Have you seen black cars that are so glossy and reflective like mirrors? Most likely, the reason is car wax. 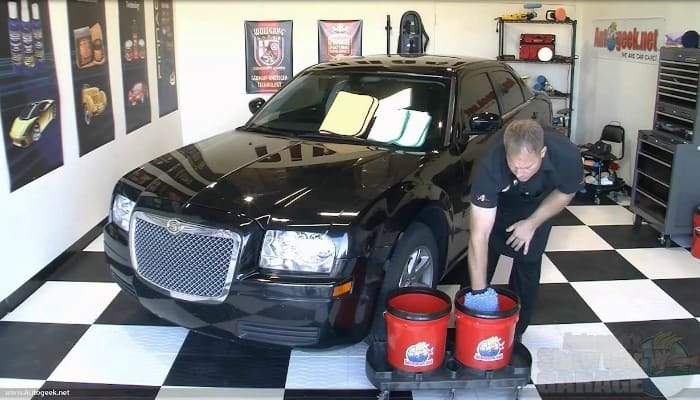 New synthetic car waxes also aim to give black cars a richer, darker color. Coupled with a car polish, the details of a black car are emphasized while the defects are concealed. The car owner’s manual includes a special section for the right wax product for your vehicle. You can also choose one from the best car waxes that are popular in the market nowadays. Make car waxing a routine every year. You can apply wax up to three times in one year. Two of those must be before winter and summer. We have learned that dirt can make scratches on the car’s surface when it follows the mitt’s directions while wiping. 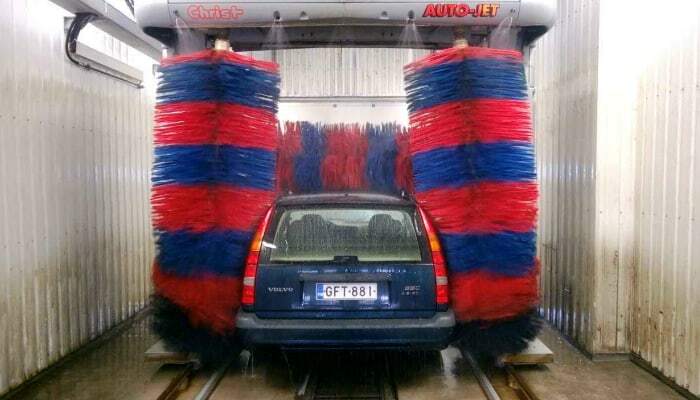 The danger when you enter your vehicle in an automatic wash is the set of brushes spinning to clean your car. The brushes might still have grime and dirt from previous vehicles because they are usually not cleaned for the next car. When they spin all over your car, dirt will probably go with the brushes’ movements and leave fine scratches on your vehicle. With hand-wash car services, you are not certain if they use the best towels for cleaning and drying. But, if you really do not have time to clean your car, you may resort to “touchless” wash services. This type of service does not involve too much wiping and rubbing. The only risk is the usage of chemical substances. The essence of knowing how to keep a black car clean is making your own effort to wash your vehicle perfectly. If you wash your own car, you prioritize only the best for it. It is hard to trust other people to wash your vehicle because after all, they do not own it. Some can make it good as new but only temporarily. Maintenance must rely heavily on your part if you want your car to be safe from scratches and dirt most of the time for many years.